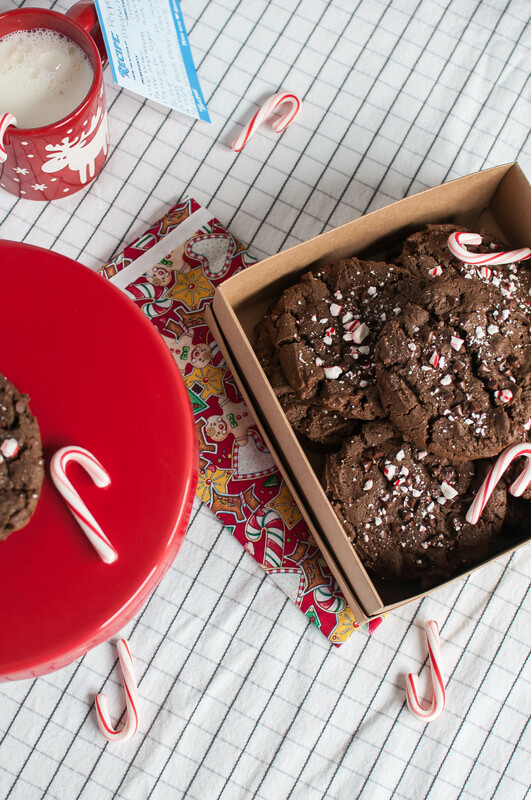 Peppermint Mocha Cookies are just what the holiday season needs. This post is sponsored by Bob’s Red Mill. As always, all opinions are 100% my own. 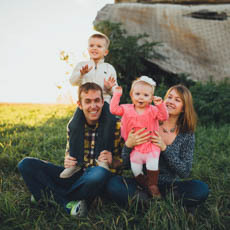 We’re in the full swing of the holiday season friends and as much as I don’t love the cold weather that accompanies it, I adore the flavors of the season, the traditions, the activities and most of all the time with family and friends. I love pumpkin as much as the next guy but once we hit mid-November I am ready for all the peppermint things. Especially peppermint mochas. I’ve never been a huge chocolate fan but combine it with peppermint and I’m down. So naturally, I thought it would be a great idea to turn my favorite holiday beverage into an even more delicious treat, cookies. And what’s even better than creating a new and delicious dessert? Sharing it with the ones you love. My favorite thing about the holidays combines all of my favorite aspects of the season I shared above into one. Baking treats to give away to friends, family and co-workers. That’s why I knew the “Made with Love, Baked with Bob’s” campaign was a great fit for me and I’m so excited to share it with you. When a friend or family member is having a rough week or received great news or just needs a little pick me up, my first thought is to bake them something special. It’s always been one of my favorite ways to show my love and support. It might not be a huge, grand gesture but those small acts of kindness can really cheer someone up and make the world a little brighter. And together with Bob’s products you can make high quality, ridiculously delicious treats to share with all your favorite people. Like these festive Peppermint Mocha Cookies. Not only are they delicious but they are also giant. Nobody’s going to be sad with a giant cookie in their hand. It’s science. I tweaked my favorite chocolate chip cookie recipe to make these glorious, chocolatey, mocha-y, peppermint dreams. They pack a double punch of peppermint in the form of peppermint extract and crushed candy canes on top. I love the crunch the candy canes add and the gorgeous contrast to the dark, chocolatey cookies. Espresso powder adds a subtle coffee flavor in the background while still allowing the peppermint to shine. An added bonus, the cookie dough can be made ahead of time then frozen. So whether you have a craving or you want to treat a friend or neighbor to a delicious surprise, you can have hot, fresh cookies in mere minutes. These gorgeous cookies will be a perfect, beautiful addition to your cookie trays this holiday season. Bake with Bob’s and save some money on your holiday baking supplies this season with this coupon. This is a sponsored post I have written on behalf of Bob’s Red Mill. In a bowl of stand mixer, cream together the butter and shortening. Add sugars and cream until light and fluffy, 1 to 2 minutes. Add eggs, incorporating one at a time. Mix in vanilla and peppermint extracts. In a large bowl, combine the cornstarch, cocoa powder, espresso powder, flour, salt and baking soda. Add the dry mixture to the creamed mixture and mix until just combined. Stir in 1 cup of mini chocolate chips. Line a large cookie sheet with parchment paper. Using an ice cream scoop, scoop out cookies and place on prepare cookie sheet (they can be close together as they are not being baked right away). Press down slightly then sprinkle each with the remaining chocolate chips and crushed candy canes. Lightly press to make sure the toppings stick. Place in the freezer for 1 to 2 hours. When ready to bake, preheat oven to 350 degrees F. Bake 3 inches apart on parchment lined cookies sheets for 15 to 18 minutes. Allow to cool on pan for 2 minutes then move to a cooling rack to cool completely. Make ahead freezer option: Once the cookie dough has frozen for 2 hours, place cookies into a freezer safe bag. Bake cookies as needed according to the directions above.